Mt. Pleasant Law Firm, J. Brooks Davis, Attorney at Law | Flight tracker shows plane over ocean. Then, it disappears 100 miles off Charleston. The Coast Guard continued its search Friday for a small airplane that went missing off Charleston a day earlier. Flight-tracking websites showed a Piper PA-31 owned by a Delaware company flying southward over the Atlantic Ocean toward the Bahamas when it suddenly fell off radar. The Federal Aviation Administration said it would not confirm specifics about the plane until it’s found and its occupants are identified, regional spokeswoman Kathleen Bergen said. Bound for the Bahamas, the airplane took off Thursday morning from the Robert F. Swinnie Airport in Andrews in western Georgetown County, officials have said. The Coast Guard said air traffic controllers later got a report of an in-flight emergency, then lost contact with the plane about 100 miles southeast of Charleston. Coast Guard helicopters, an airplane from Florida and the Cutter Hamilton, a ship based in North Charleston, had searched 2,600 square miles of the ocean surface by midday Friday, the agency said, but it had not announced any discovery of the aircraft. 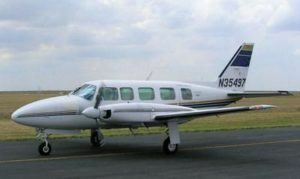 FlightAware.com and other websites identified the plane involved in the incident as a 1976 two-engine Piper owned by Bulldog Flying Club Inc. in Wilmington, Del. The eight-seat plane had reached an altitude of nearly 25,000 feet and a top speed of about 270 mph, the data showed. Those numbers dipped before radar lost contact.